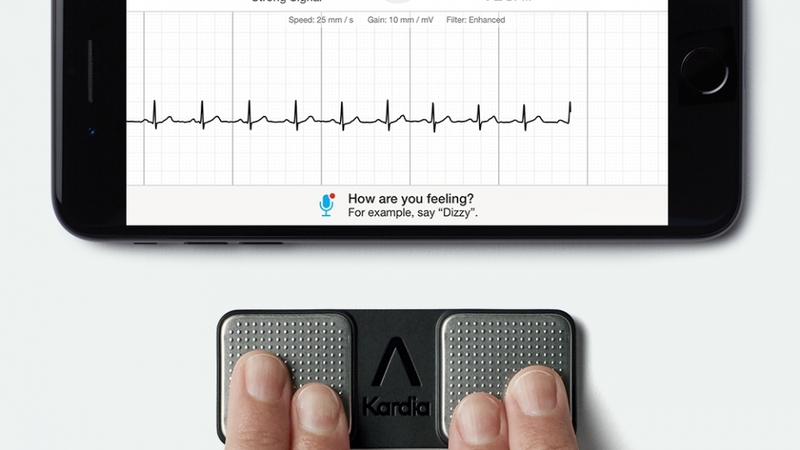 Many people are familiar with the Alivecor devices that measure peoples ECG. It can be used by patients and by health professionals. Indeed there keeps being talk about the NHS buying them for all clinicians and Locally my GP federation bought one for every GP who wanted one and I use it all the time. What few people talk about is how usable they are. Well getting a good trace is fairly easy if you know what you are doing, get the patient to rest their hands on a table to reduce shake if my top tip. What could be done better is the app. Its pants. Its aimed at a patient and we could really do with a NHS one. At the moment if I measure an ECG on a patient getting the ECG into the record is a pain. I have to tell it the patient is a guest. Email it to myself, download it to the desktop then upload then attach to the patients record. One work around we have come up with is emailing it to a special practice docman email address that allows it to appear in the docman import queue but it doesnt auto attach to the clinical record. Of course most NHS computers don’t have Bluetooth – at home I can just share the image to my mac easily at work no. A custom NHS app that reads the ECG and allows cloud attachment via perhaps the NHS number to any GP system would be really useful! Should all GPs learn Dermatoscopy? 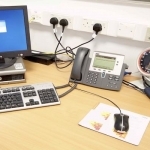 Save a GP appointment – test your own hearing! Is it time to open up the UI of the GP EPR? Is it time for an app store?